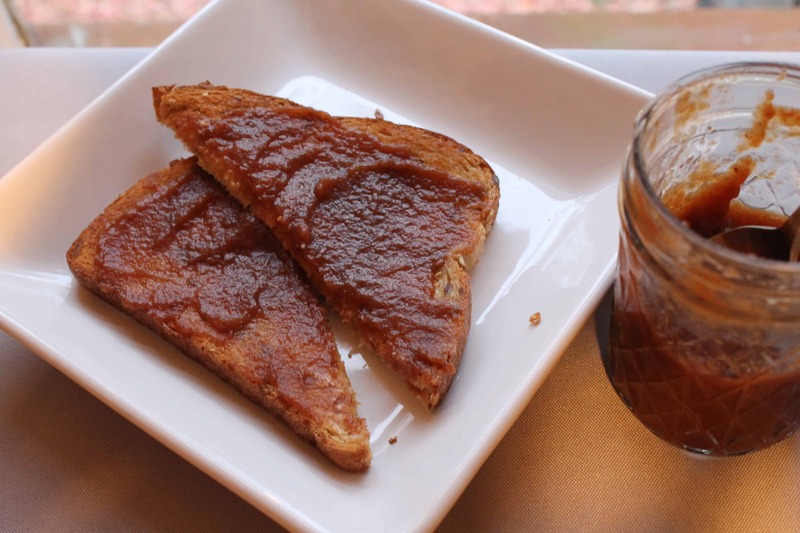 This easy slow cooker apple butter is full of flavorful fall spaces and sweet apples. 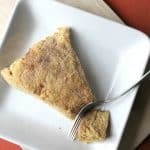 It is the perfect topping to toast, biscuits, rolls, or scones! We walked up and down row after row of apple trees, searching for just the right ones to drop into our bags. I inhaled the clear, crisp air and let the sunlight drench my face. My two older children ran from tree to tree, beaming with pride as they collected their bounty. The colors of the landscape were changing, as the golden and orange hues of fall were transitioning into their rightful places. This was our first time visiting an orchard to pick apples, and it was a delightful adventure. The orchard hosted several fall-themed activities for children, and it was the perfect way to usher in the season of cozy blankets and warm spices. We brought home two and a half pecks of apples that day, which is equal to about 25-30 pounds. 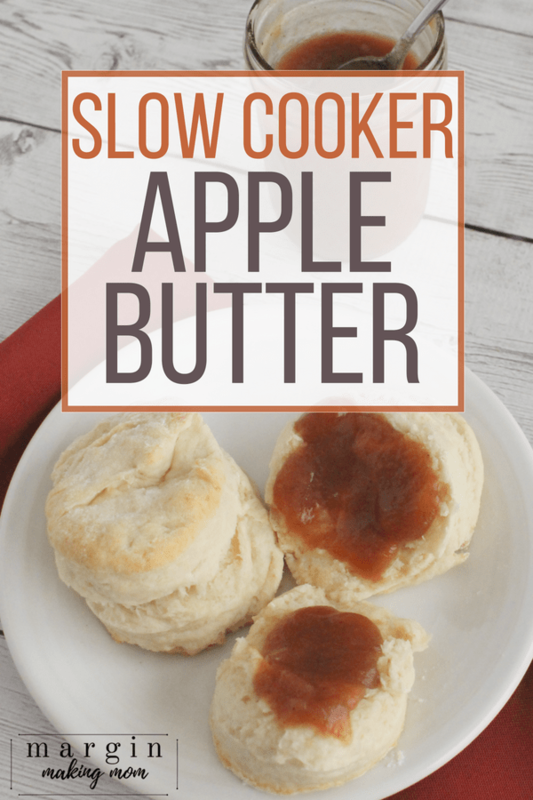 Eager to put the apples to good use, I decided use some of them to make some applesauce, apple pie, apple crisp, and this delicious slow cooker apple butter. Obviously, peeling and slicing that many apples would take FOREVER by hand. In the past, the preparation was one of my biggest hurdles to making apple-themed foods. However, discovering this amazing and affordable gadget has made this process so much faster and easier. Honestly, I was blown away by how well it worked and how quickly I could peel, core, and slice an apple. Where has this thing been all my life?? I also use it to peel potatoes when making mashed potatoes! I’ve made applesauce in my slow cooker many, many times, but I had never made apple butter this way. 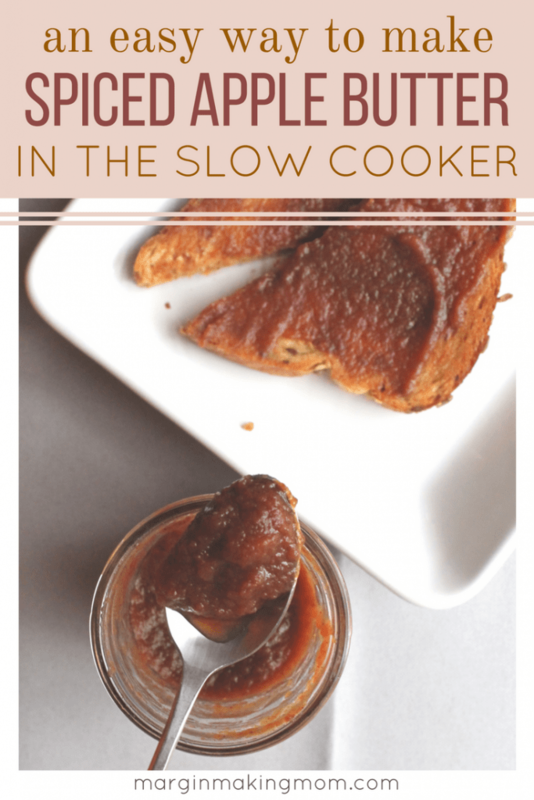 I have to admit, this slow cooker apple butter from That Susan Williams far exceeded my expectations. 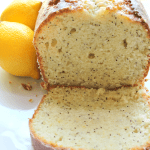 It has just the right blend of spices, the perfect consistency, and the addition of the lemon zest really helps to brighten and enhance the flavor profile. Really, it is SO much better than what you can buy in the store! Making it in the slow cooker means it is also very easy and mostly hands-off! 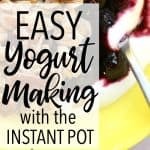 If you have an Instant Pot, (ya’ll know by now how much I love my Instant Pot), you can use the slow cooker function for this recipe! 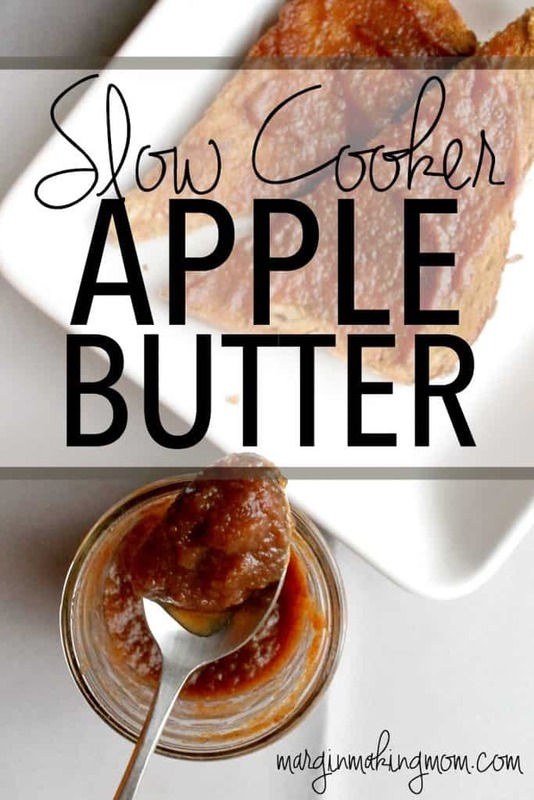 You can use a variety of types of apples to make this slow cooker apple butter. 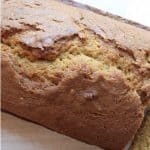 I used a combination of Golden Delicious, Rome, and Fuji apples, since that is what I had from the orchard. I think adding Granny Smith or Honeycrisp would be delicious. 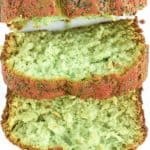 Using more than one type of apples usually results in better flavor, in my opinion. It does take quite a few apples (about 6 pounds), but know that it cooks down a lot and I was left with about 4 cups of apple butter when all was said and done. I did not go through the proper canning process with my apple butter, so I put the extra jars in the freezer, which works wonderfully (just be sure to use a jar that can go in the freezer). The apple butter freezes very well and is just as tasty after thawing. Not only that, but a jar of homemade apple butter would make a thoughtful gift! The fall flavors are to die for! What are you waiting for? Peel, core, and slice apples. Place slices in slow cooker. Add apple cider and brown sugar. Stir to combine well and cover with lid. Add spices and lemon zest and cook for 3 more hours on high. Apples should be very dark and reduced down. If they aren't dark yet, cook for a couple more hours. Remove lemon zest from slow cooker and use an immersion blender to blend apple butter to desired consistency. Ladle into jars, leaving 1/2 inch head space if you plan to freeze jars. 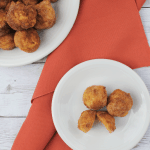 Cool and keep refrigerated (or frozen) when not in use.